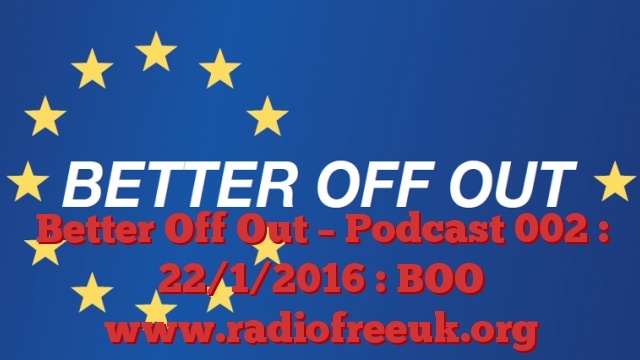 This is the second podcast by Better Off Out, introduced by Rupert Matthews the National Campaign Manager. You can find Better Off Out on Facebook, Twitter and YouTube as well as on our website www.BetterOffOut.net. We welcome all Brexiteers and offer a wide range of campaigning materials and activities. Go to our website and check us out. Meanwhile, this podcast takes us on a trip to Durham for a look at England’s interaction with European Culture, then on to Birmingham to examine one of the bolder claims made by the Europhiles, and finally to Nottingham for events at the Young Independents Conference. Rupert Matthews of Better Off Out visits the Durham Cathedral Green to talk about European culture and England’s links to artistic movements across Europe. Rupert Matthews of Better Off Out visits the Birmingham war memorial to consider the claims of the Europhiles that the European Union has kept the peace in Europe for the past 50 years. Rupert Matthews of Better Off Out travels to Nottingham for the Young Independents Conference where he meets Ray Finch MEP and has a chat about youth politics, the EU Referendum and other stuff. While I was in Nottingham I also met Bill Etheridge, UKIP MEP for the West Midlands. But before we get on to our little chat we’ll start with an extract from Bill’s speech. Finally from Nottingham, the speech given by my colleague Simon Richards of The Freedom Association to the Young Independents Conference.